My friend gave this one as gift, i find out this one is little better. This one is better shape design, and has mute function, this mute function is perfect for my business especially when in the conference call. also the battery is last longer. I like it very much. Thank you. I accidentally washed this and I thought oh well that's dead. But I found the ear piece bit and thought, well let me check at least. Louis behold through washer and dryer the thing survived. Pretty sure it did little to nothing to it. Yeah this earned five stars. My new iPhone did not have a connection for my old earbuds so I bought this and it is great! Good sound, easy to use with my phone, set-up was easy enough to figure out by myself at 64 years young!! 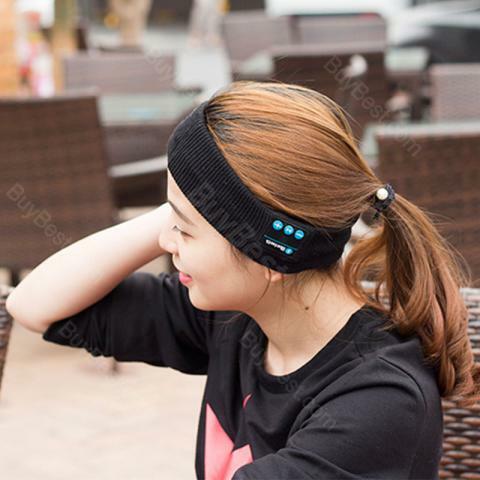 This headband is used in the sport, running, yoga, but fixed hair can listen to music on the phone again, from the entanglement of cables. Fabric has good air permeability, absorb sweat, especially suitable for people in sports, fitness, leisure use.